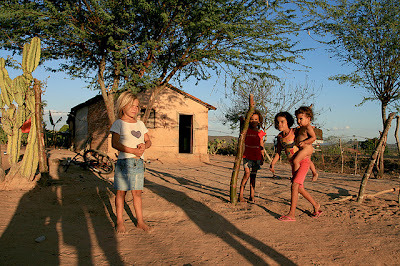 The sertão or backlands of Northeast Brazil, with an average temperature of 84ºF, is a semi-arid region of scrubby caatinga vegetation of low thorny bushes. Frequent and prolonged drought in the region has forced thousands of impoverished Nordestinos to migrate to major coastal cities in the Northeast and to metropolitan areas in Southeast Brazil. Francisco* was among those who migrated to São Paulo, Brazil’s largest city, in search of a better life. He did well and returned to Ceará to get married and raise a family. I met him when he started working at Ceará Importers Ltda. * He was an amiable person, short and stocky, with a spring in his lopsided gait. He loved his trade as electrical technician, installing and maintaining piping, cables, and wiring that connected and powered our computers and cash registers. On the wall behind his desk in his tiny office, he proudly displayed his technical certificates earned during on-the-job training in São Paulo. With the rapid expansion of the company, he began working long hours beyond midnight. The alcohol shared among late-night workers made the job appear less onerous. When he started showing up late for work or not showing up at all, I knew that something was wrong. The male warehouse staff snickered about his plight. His wife had left him for another man and had taken their children. He was drowning himself in alcohol. I could not watch him lose all that he had worked hard to achieve for himself and his family. I had to do something to help him get his life back. After learning that his boss had failed to get him to stop drinking, I got him to attend an Alcoholic Anonymous general assembly in his neighborhood. It was a new experience for me. There were over 500 people, alcoholics and their family, gathered in the sports auditorium that evening. He was not alone in his struggle. After he started attending the group meetings, his wife agreed to return home with their children. But she did not want him to continue working late nights. Losing them was a great blow. Getting them back meant letting go of a job that demanded putting them in second place. He chose to give up his job. During a period of high unemployment, as was the case at that time, finding another job was not easy. When I heard from Francisco a month later, he had moved to another state where he had received a job offer. He and his family were doing fine, he told me on the phone. When our job threatens our marriage, we must make a choice. It may not be a simple choice as it was for Francisco. As we move up in a company, we have more to lose and more options. It becomes much easier to walk away from our marriage and family. “Thanks, Auntie,” I would whisper. Giving thanks was reinforced in primary school run by the Roman Catholic nuns: “Never forget to thank God for everything He has given you.” At Sunday Mass, the Catholic priests hammered it in. We not only had to praise God for His wondrous creation, we also had to express our gratitude. I was unaware of how much saying “thank you” had become a habitual unconscious response until I moved to Brazil and a friend drew it to my attention. While Brazilians may not have the habit of saying “thank you,” their faith in God’s goodness runs deep. Graças a Deus – thanks be to God – escape their lips whenever they receive good news, a favorable outcome, or an answer to prayer. In the United States, the practice of giving thanks – a tradition of the first English settlers to this land – was raised to the national level by President George Washington in 1789. A special day in the year is set aside for giving thanks to God. This year, we will celebrate Thanksgiving Day on Thursday, November 22nd. I consider Thanksgiving Day the most celebrated American holiday. Americans put aside their individual pursuits and come together – often traveling great distances – as families, friends, and as a community to give thanks for liberties fought for and won as a nation, for their achievements, for their victories over adversity. This Thanksgiving, I remember the millions of Americans on the East Coast who face the devastation of Superstorm Sandy. In the face of adversity, we either find our strength and hold on to what really matters in this life or we are crushed with despair. In dealing with my own adversities, I have learned that in giving thanks for the gifts, blessings or miracles – depending on your viewpoint – makes each day more meaningful and fulfilling. Make a list of all that you are able to enjoy today and you will appreciate what I am saying. Leave nothing out. We take a lot for granted until it is taken from us. Give thanks each and every day. Live a life of thankfulness. “Just enjoy your foot,” the uncle said with a laugh. “Enjoy your foot in life. You don’t need to ask questions. Just enjoy.” ~Excerpt from “A Little Balinese White Magic” by Rich Samson, Los Angeles, May 2009. Sometimes, a person joins us for a short time on our journey along a footpath, giving us the confidence to keep moving forward. Rich Samson, a gentle soul, was such a person in my journey as a writer. We met on 4 April 2009 when the Greater Los Angeles Writers Society (GLAWS) started its Literary and Mainstream Fiction Critique Group. During introductions, I perked up when Rich mentioned the Peoples Temple. It was one of those weird coincidences. At the time, I was working on a short story, set in my native land, Guyana, about the Jonestown mass suicide-murder. On April 16, in response to my first e-mail, Rich wrote: “I was moved by your reference to the Jonestown Massacre… Obviously, those tragedies from 30 plus years ago touched us both.” In San Francisco, where he lived at the time, he had followed media reports about Jim Jones’ rise to power in California. Thereafter, Rich and I shared and critiqued each other’s work. After reading my five short stories published by the Guyana Journal, he wrote: “Generally speaking, I really enjoy your writing style and feel that your stories are a good influence on me and my writing aspirations.” For me, the footpath became less obscure. On May 5, we met at Starbucks in downtown Culver City to discuss his novella, 8 Mos. in the Haight – set in the Haight-Ashbury district of San Francisco during the period January to September 1972, when, as an aspiring young actor, he had joined the hippie community. Rich needed direction for the revision process. On May 26, Rich e-mailed me his short story, “A Little Balinese White Magic.” He wrote that my Guyanese folkloric short stories had brought to mind “an unbelievable healing experience” he had had during a business trip to Bali, Indonesia, many years earlier. After presenting the story to our critique group in June 2009, he read the opening scene during the Open Mic session of our GLAWS Annual Summer Pot-Luck Party in August. His performance was animated. He had crossed a threshold. Rich submitted Chapter One of his Haight novella for critique at our September group meeting. On October 5, he forwarded Chapter Two for our group meeting later that month. When he did not show up, I followed up with an e-mail on October 25. I did not receive his usual prompt reply. As his silence stretched out over the next two weeks, I knew that something was amiss. My affliction grew. On awakening November 18 – the anniversary of the Jonestown Massacre – I turned on my desktop computer and googled his name. SAMSON, Rich. West Hollywood resident Rich Samson died unexpectedly in his sleep at his home on October 7, 2009. He was 57. He graduated from Palm Springs High School in 1970 and attended Cal State LA and Foothill College. 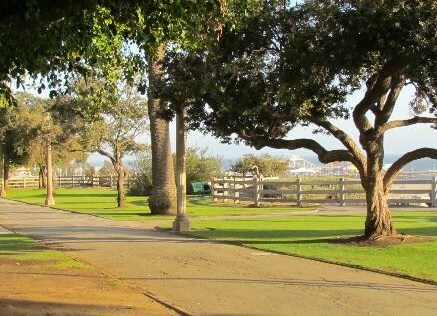 During the past seven years he worked in the real estate business in Los Angeles. Mr. Samson, who was married twice, is survived by three siblings and five nephews. No photo confirmed that this was Rich, my writing friend. No contact information to share my joy and sorrow with a brother I had come to know through Rich’s writing. Through Rich’s stories, I met the people and shared the moments that had mattered to him on his journey through life. He left unexpectedly. But during the short time we worked together, he gave me the confidence I needed to move forward with my novel. My hope is that the time he had spent writing were moments of joy and clarity towards the end of his journey. Customs officials (agentes aduaneiros) at Fortaleza’s port and airport, in Brazil’s northeast state of Ceará, were not my favorite kind of people. With the duty of collecting import and other government taxes and combating counterfeit and contraband trade, they cannot afford to be friendly individuals. In a society where corruption among government officials at all levels is commonplace, reputable agents cannot curry favor with the business community. Corrupt agents, encountering discrepancies in shipping documents, the price of an item, or one or more of your goods during a physical inspection, seek bribes to make the problem disappear to clear your goods. Others may find problems where none exist. 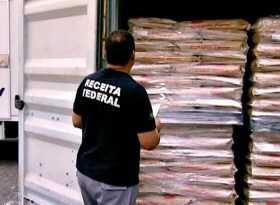 Customs brokers (despachantes aduaneiros) – in the business for many years and who have day-to-day contact with government officials at the ports and airports – know what type of agent they are dealing with and the best ways of handling difficult situations in order to expedite clearance of their clients’ goods. At Ceará Importers Ltda (fictitious name), I was fortunate to work with such a customs brokerage family-owned firm. The customs brokers and staff at Organização Paulo Rocha, were not only competent and reliable, but always attentive to my needs as import manager throughout all stages of the import process. During the five plus years that I handled import shipments for Ceará Importers, I worked with a wide range of consumer products: perfumes; toiletries; pharmaceutical products; chocolate, ice-cream and other food products; toys; electrical and electronic appliances; paper products; leather handbags; carpets and rugs; party and other decorative items; and household articles of plastic, glass, metal, and wood. Expediency and success in obtaining import licenses (Licença de Importação), for products subject to government control, and import declarations (Declaração de Importação) required accuracy in the product classification of each item in accordance with the Nomenclatura Comum do Mercosul (NCM). Whenever I encountered difficulties in classifying a product, I could call on the staff at Paulo Rocha for immediate assistance, avoiding the time-consuming protocol when consulting the Customs Department. Legally registered with the Secretaria da Receita Federal (Federal Revenue Secretariat) of the Ministry of Finance, customs brokers are required to keep updated on import-export procedures and regulations for customs clearance. When the government issued a new regulation for the import of toys from China, Paulo Rocha contacted us immediately. At the time, we had a shipment en route. While I chased after the technical product reports from the Chinese manufacturers for all toys on our import declaration, Paulo Rocha worked with customs agents to clear our shipment without undue delay. A competent, reliable, and attentive customs brokerage is worth the additional operational cost for any small- and medium-sized import company. I could not have succeeded as an import manager without the partnership of our customs brokers.